These terms may sound like grades of gasoline, but they are commonly used for “high-end” spirit brands. What defines a product to be qualified to use these terms…? Price? Bottle quality? Whether it is imported? There are no federal or state guidelines on the use of “premium” descriptive terms. In reality, the only true descriptive definition of a good quality vodka is how it feels on the palette. When tasting vodkas, look for four attributes; 1) a tinge on the front of the tongue, 2) a lasting burn down the back of the throat, 3) how it feels in the back of the mouth, or, “gills”, 4) overall flavor. 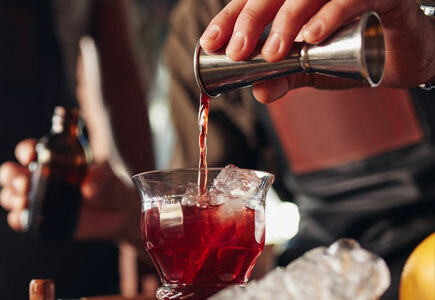 The best vodkas will leave no tinge or burn, will feel smooth in the “gills” and finally, will have an overall sweet and smooth flavor that makes them delicious. Only you can be the judge of what is premium – and that’s the honest truth.